Best Life Jacket – For any parent or guardian, it is important that the puddle jumper you fit your toddler on should be approved by the relevant authorities. This should give you the confidence to know that your toddler would be safe once they use the puddle jumper. The Stearns Kids Puddle Jumper has been approved by the U.S Coast Guards. This gives it the vote of confidence that it needs so that you may know as a parent that the puddle jumper is safe to use. Life Vest Reviews – The Stearns SCSLV vest contains adjustable side straps that enable one to fit into this jacket easily. 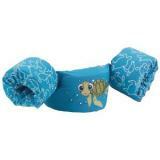 One can tighten or loosen the belt as required without any hassle. This life vest also contains a pocket for storage that lacks in many other vests. Also, the zipper is flexible and the comfortable mesh ensures enough breathing space is available. 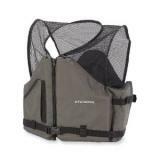 Life Vest Reviews – The Stearns Child’s Classic Boating Vest is perfectly designed for the family that loves boating and has small children. 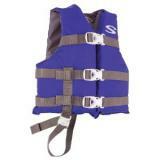 As the law requires all children that ride in a boat must have an approved life jacket on at all times. Stearns has 50 years of experience as makers of personal flotation devices. They have a reputation of being the leader in the PFD industry. is Type V US Coast Guard Approved Life Jacket with Type III performance. That should should appeal to any parent looking to ensure their child’s safety.